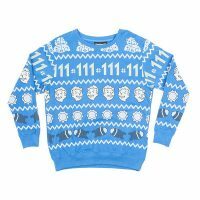 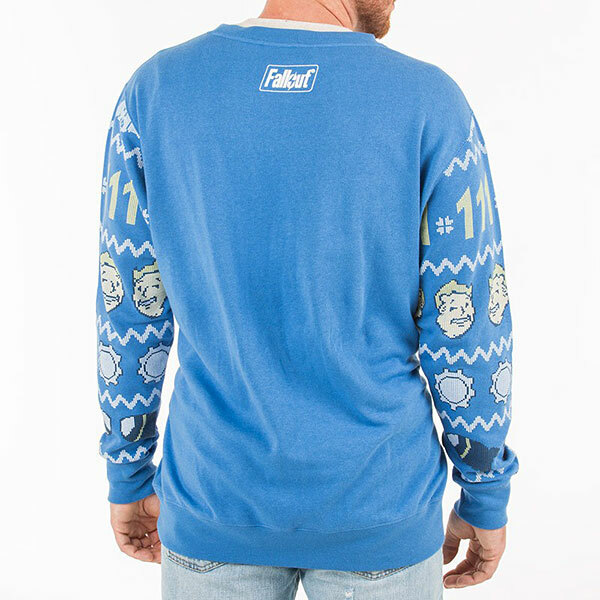 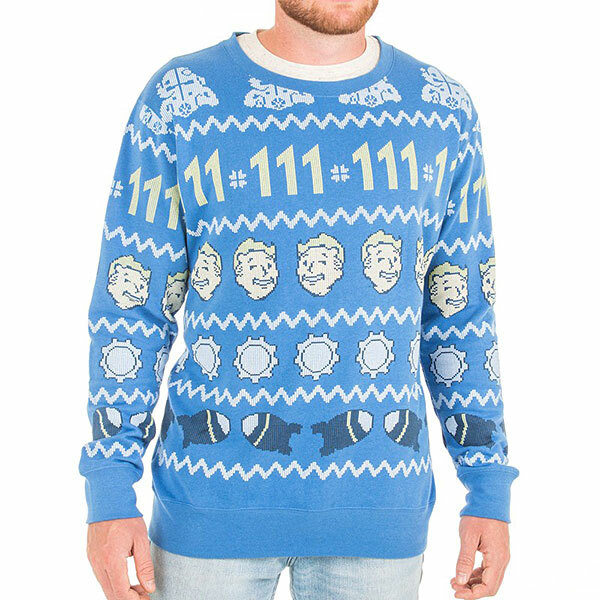 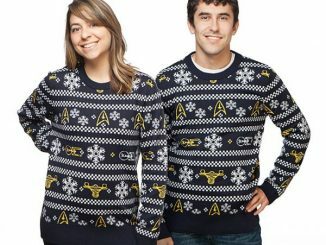 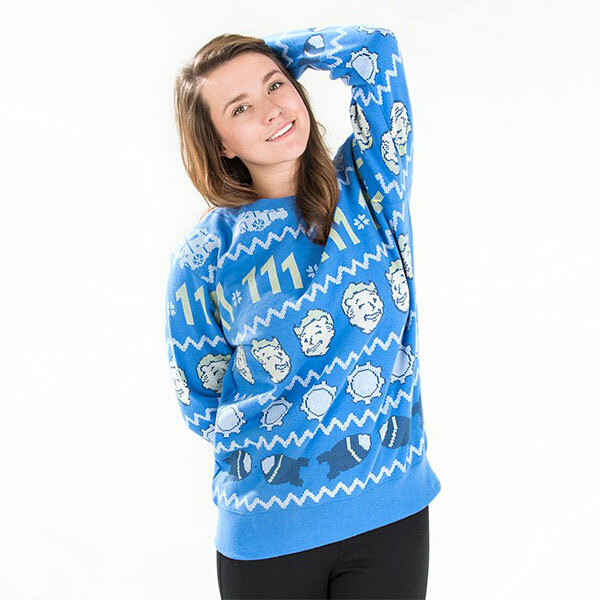 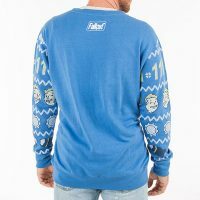 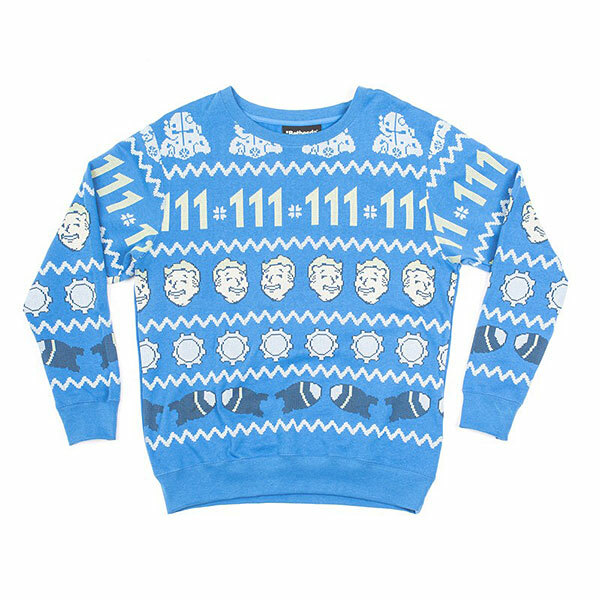 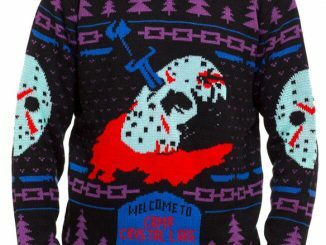 This Fallout Holiday Fleece Sweater is the perfect holiday accessory for fans of the hit video game. 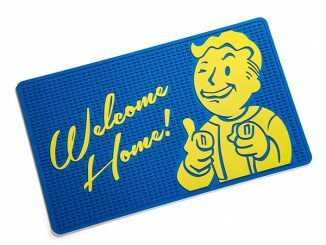 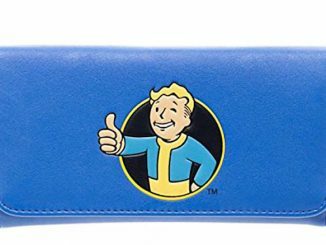 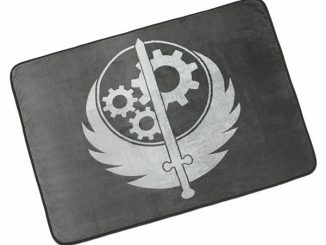 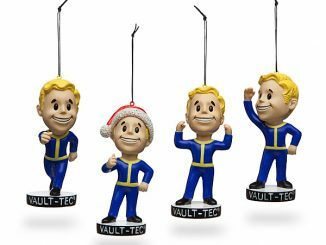 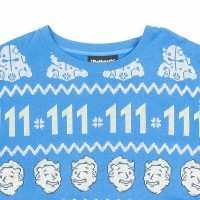 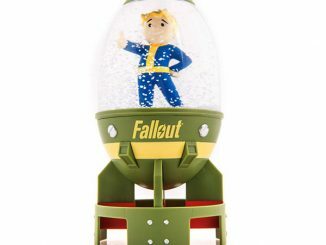 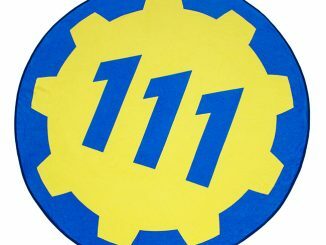 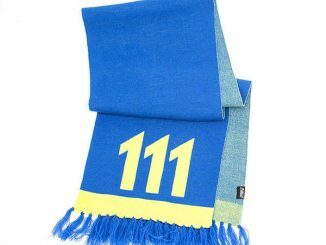 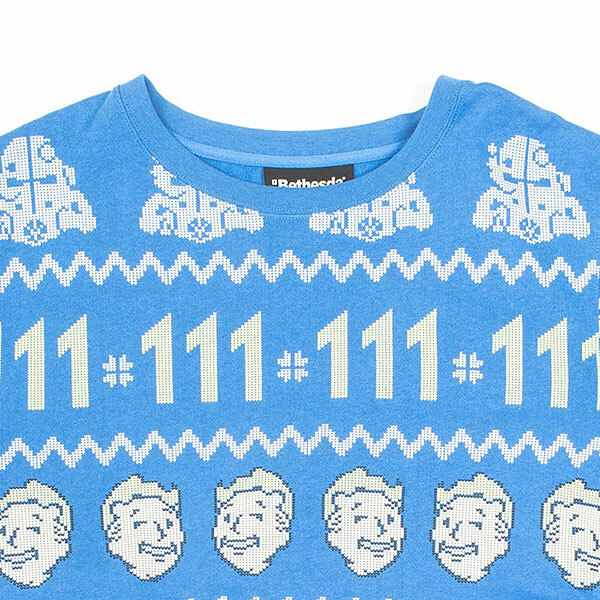 It has plenty of blue and yellow for the holiday, along with festive 111s, Vault Boy, the vault door, and mini nukes. 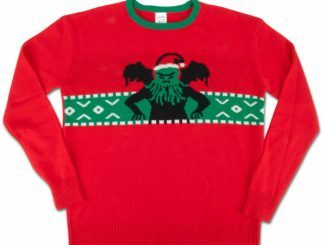 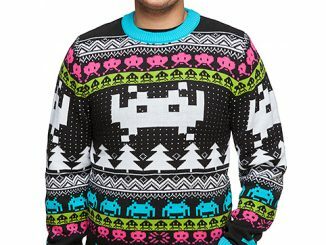 Tis the season for a geeky sweater.